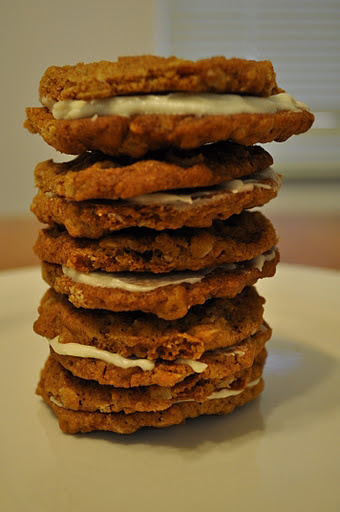 Yesterday, I also made homemade oatmeal creme pie cookies. You know, the Little Debbie kind? Warning: They are extremely sweet, but so yummy! Next time I won’t use near the powdered sugar for the creme filling. 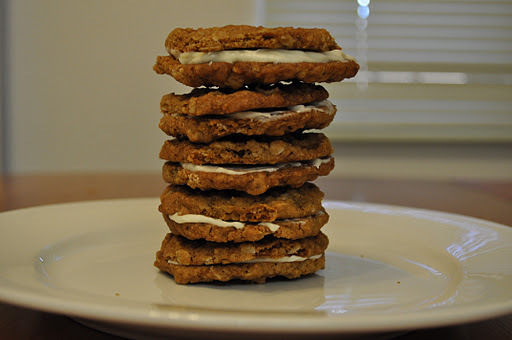 Also, just the oatmeal cookies alone are delicious! Maybe my favorite cookie ever! Add egg & vanilla – mix well. Combine flour, baking soda, salt, and cinnamon in separate bowl. Mix well. Add oats to flour mix, mix well. Drop rounded tbsp’s 2″ apart on baking sheets. 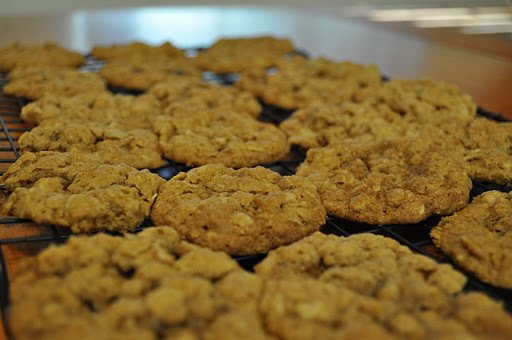 If you use traditional baking sheet (not cookie sheet) line with parchment paper. I needed 2 additional baking sheets after filling up my cookie sheet. It makes over 3 dozen cookies. Bake 10 minutes. Leave cookies on pan for 2 more minutes. Cool completely before adding creme filling. Combine everything in bowl. Beat on low until mixed well. Then beat on high until fluffy.